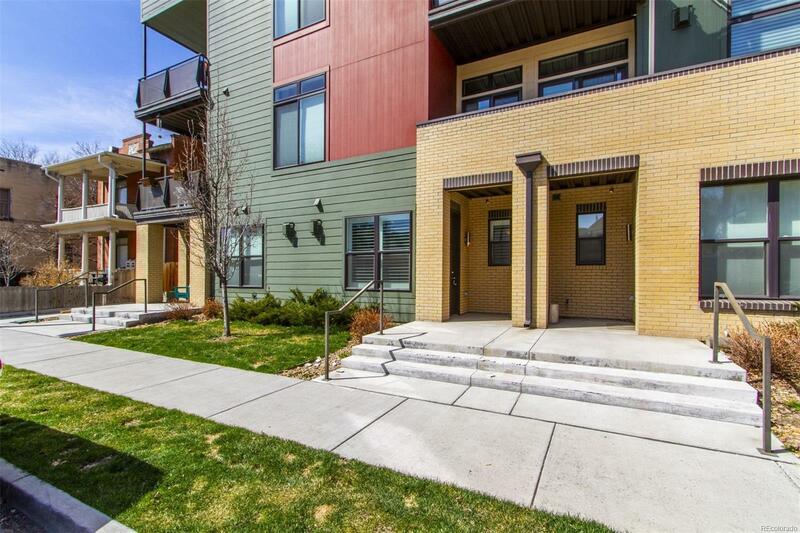 Contemporary one-bedroom condo close to everything! Boasting 9 foot ceilings and large windows, this home welcomes you with its open concept design. Entertain with ease in your modern kitchen with stainless steel appliances, soft-close cabinets, quartz counters, and large kitchen island. The living room features a tasteful gas fireplace and plantation shutters for added privacy. The bedroom has a large closet with built-in storage that provides plenty of space for your wardrobe. Enjoy thoughtful and sustainable features with in-floor radiant heat, a tankless water heater, and ductless air conditioning. You will not want to miss the rooftop deck that provides incredible views of the city skyline and the mountains, and community firepit and grill. Just a few blocks to South Broadway's restaurants and nightlife. This is a great opportunity to enjoy urban living at its best!